Looking for a wow factor corner sofa? Well this Highcliffe model really delivers and and it has a sofabed worked into the mix as well! It looks stunning in any of the many fabrics it can be ordered in, and there are different leg wood shades as well. 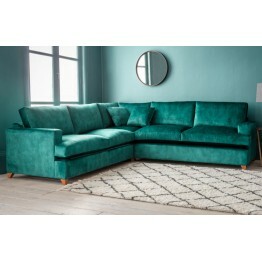 Cushions are filled with a sumptuous fibre interior and the metal sofabed frame has a choice of open coil sprung mattress or a pocket sprung mattress. This is the Highcliffe corner sofa and has a long return chaise side on the Left Hand Facing Side. T.. 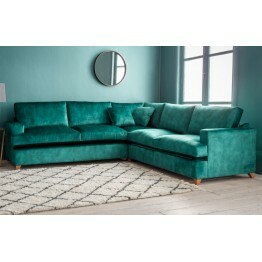 This is the Highcliffe corner sofa and has a long return chaise side on the Right Hand Facing Side. ..